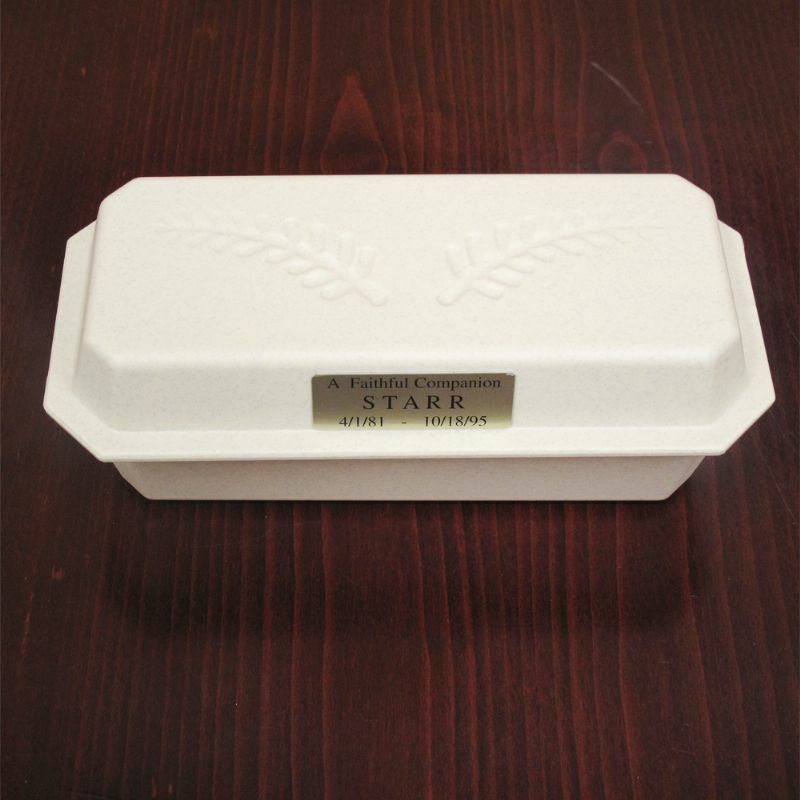 The Hoegh Miniature Casket Pet Urn is constructed of high impact styrene plastic and is an inexpensive alternative to a casket. Comes with an order blank for metal photo name plate. 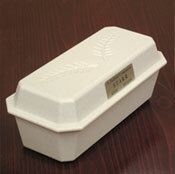 The Miniature Pet Casket urns is a wheat color with a textured finish pet cremation urns. 10" x 4.5" x 4"